Analysing pros and cons of a product is essential for any purchase before selecting a brand. This concept is applicable for all items including a Wireless Microphone. But, before that, many of us would not be aware of their requirement aspects to be considered during the selection process. 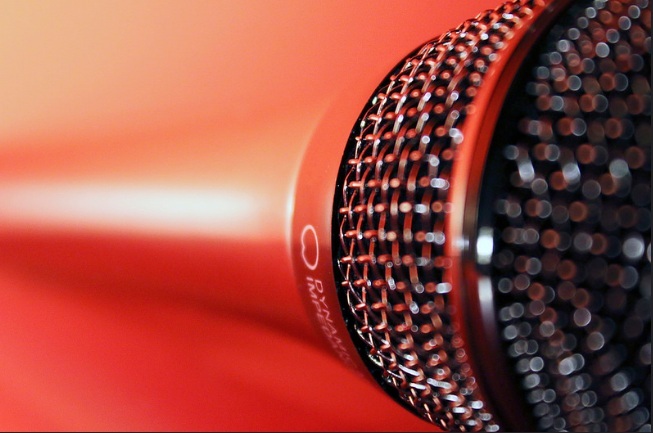 A microphone is used by many sorts of people in our society including singers, musicians, public announcers, politicians and educators and so on. Wireless microphone has many advantages than that of Wired ones as the latter one has space constraints that doesn’t allow the users to walk freely on a stage or around the stage. Other technological devices such as wireless mouse, keyboard, earphones have similar restrictions in a free usage. Transmitter and Receiver are the two major components of a wireless microphone as the former one converts audio signal into radio signal and the latter one does it opposite. Notable aspects of major models that are normally used in the society are briefed below for a buyer review along with its merits and demerits for selecting the Best wireless mic. stringent stage-tested technology with German made components. Auto-Lock option for avoiding accidental settings change. Infrared interface facilitates wireless synchronization. Above all, the product is quite expensive but well suitable for music concerts because it possess a tag name “Ideal Singing partner”. For easy switching between manual and automatic configuration, Large LCD display is enabled. Provides high frequency bass, low noise and clear voice. Similar to the above model, it is also quite expensive but worth for its quality and long-standing capability. XSW 35 and 65 sets are preferred by public speakers and singers who face huge crowd , open stage performance and live concerts. Unlike the previous models, this is a mini Handheld wireless karaoke microphone embedded with in-built bluetooth speakers more suitable for music playing and singing with an access for a memory card. It can be easily carried from one place to another and supports android and iOS systems using an app on the mobile. The microphone is a professional model with a bluetooth speaker and flashing light system. It has a hard shell case made of aluminum-magnesium alloy and using an USB cord, it can be easily recharged. In order to guarantee a crystal clear sound quality even after a continuous use, an advanced interference free and noise cancellation technology are provided with it. Karoke Microphone is very apt for Flashlight function along with four LED dancing lights with high-brightness. Professional audio processor, intelligent mixing chip, advanced compatible design and high-end dual speakers are its attractive features. A 3 layer high-density noise reduction system produces an outstanding sound quality with an operating frequency range of 100hz to 10khz max weighing around 1.5 pounds. IMMOSO portable KTV player, USB Cable, Micro USB to Audio Cable are the various components of this handheld wireless karoke microphone. Another major advantage is that it is one of the cheapest among majority of mic. models. A notable drawback is that it has some Echo issues and users need to plug in for charging. Need a microphone with excellent sound quality at affordable price ? Then this is the suitable option. The system has 2 handheld mics much suitable for any corporate interviews, parties and LIVE singing. Using the 2-channel VHF system this dual wireless microphone System can avoid any types of frequency interferences. Its unique design, individual front-panel volume controls along with a audio mute circuitry deviate this microphone from others. Similar to the above model, it is also preferred by music professionals for any variety of music like Karaoke as it can cover upto a distance of 150 meters and also works over 8 continuous working hours. The mic. Model is also suitable for Vocal LIVE concerts, stage performances, sound source recording and amplifying and so on. Easy synchronization of transmitter and receiver possible in this model also. Two Standard AA battery is provided for each phone with an average current consumption of around 25mA. Other important components include a fixed receiver, 6.5mm audio cable and adapter. Easy installation, quite optimum price, good mic. range and clear sound are its various interesting aspects. But, the model also faces certain demerits like buzzing sound, quick draining of battery and inability to handle loud voice. People who desires to buy an expensive model can opt from long-standing company brands like Sony, Shure and Sennheiser. GTD Audio G-622H 200 Channel UHF Professional Wireless microphone Mic System is identified to be the cheapest one and its features are further detailed in the above mentioned link. Good list of head phones. I personally like Sony’s head phones. Their sound quality is excellent and they are quite easy on the pocket. This is a great list you have shared. Sennheiser head phones are of top quality. They provide excellent sound clarity. What do you think of Boat head phones? Are they good enough?